Weequahic High School Alumni Association | ROGER LEON, Newark's New Superintendent of Schools Is A "Newarker Through And Through"
Roger León was born in the city of Newark, grew up in the city of Newark, remains a proud product of the Newark Board of Education, dedicated 25 years of service to the children in the Newark Public Schools, and still lives in Newark. Mr. León attended Hawkins Street School from Kindergarten to 8th grade and graduated from Science High School. He earned his Bachelor of Science in Biological Sciences at Rutgers University and was determined to remain in Newark to teach and impact lives at both of his alma maters. For three years, he taught 5th grade at Hawkins Street School and was the Head Coach of the Science High School Debate Team for eight years. His classes won local competitions and his students demonstrated high academic growth. The debate team won local, state, and national championships. The 8th Grade Algebra Pilot resulted in his move to Rafael Hernández Elementary School. Mr. León taught Algebra I to 8th graders for high school credit and provided intensive professional development in mathematics to Newark teachers across the district. The success of this project resulted in hundreds of 8th graders earning high school credit in Algebra I, teachers earning dual certification in Mathematics, and the district’s highest elementary mathematics standardized test scores in years. 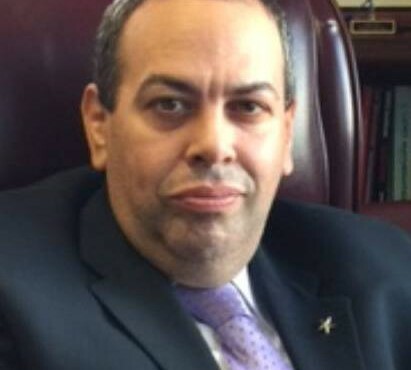 Mr. León earned his Master of Arts in Administration and Supervision from Montclair State University and subsequently served as a turnaround principal in Newark for ten years. Mr. Leon was the principal of Dr. William H. Horton School for four years and University High School of the Humanities for six years. Since Mr. León believes that every child is a genius, it was his responsibility to lead and work collaboratively with all stakeholders to improve both schools. With the Accelerated Schools Project model at Horton, he promoted data driven instruction, built a strong culture of achievement, and increased parent and community involvement. Student achievement increased, attendance improved, and discipline referrals decreased. Under his leadership at University, the school implemented its own whole school reform model, which was a return to the school’s original design, a school that is an engine of social change and social justice. As a result, the middle grades standardized test scores ranked #1 in New Jersey and the school became the top performing high school in the city, one of the top 75 high schools in the state, and ranked one of the top high schools in the country. Mr. León has served as the Assistant Superintendent in the Newark Public Schools for ten years. His vision was to set high educational standards for everyone in every school and provide all of the necessary time and resources to effectuate change across the district. The mission was to improve the lives of our students and their families and strengthen the community. In this capacity, he supervised the school leadership team of the high schools and a network of elementary schools, served as the Deputy Chief Academic Officer in charge of Curriculum, Instruction and Student Support Services, and directed administration responsibilities district-wide. This ten-year experience drove national, state, and local education reforms where he led, co-led, and implemented new standards from ESEA to NCLB to now, ESSA. The reforms influenced early childhood, special education, bilingual education, and elementary and secondary education in the city of Newark. Mr. León spearheaded and organized major initiatives and community conversations influencing change throughout the entire district. During these ten years, he led and worked collaboratively with local and state agencies, higher education, foundations, private-public partners, community based organizations, faith based organizations, elected officials, principals, teachers and staff, every central office department, community advocates, parents, and students. As a resident, student, teacher, principal, and assistant superintendent in Newark, Mr. León has taught thousands and mentored hundreds. He has witnessed generational progress and has inspired outstanding leaders, doctors, social activists, teachers, principals, attorneys, scientists, authors, professors, innovators, business owners, artists, and countless others who he has encouraged to remain in Newark, like he has. Mr. León is passionate about education, passionate about Newark, and passionate about progress.